John Muir, while discussing the redwood forests of Northern California, remarked, “Going to the woods is going home.” The comforting, warming high of Redwood Kush is reminiscent of sitting by a campfire, surrounded by friends and the company of looming sugar pines. Cozy and satisfying, there is something familiar about this strain, like it’s taking you home. While I wouldn’t classify these nuggets as popcorn, they are small, bite sized buds. Redwood Kush would be a deep forest green color if it weren’t absolutely drowning in pale amber trichromes. The buds look like a pair of dirty khakis after being worked into Sequoia National Forest for a hike. The aroma continues this theme. Much of the scent is pepper tree and cedar. However, the scent is so sweet in its woodiness, that there is even some over-ripe berry and musky earth, turning it sour in the end. I was pleased by how this indica smoked. It wasn’t harsh at all, and it had fine moments when it was like balsam or sandalwood incense. Everything about the aesthetic side of this weed reminded me of northern California. The high of Redwood Kush is noticeably indica, meaning it exists mostly in the body. I prefer the cerebral effects of sativas and sativa hybrids, and don’t often donate for pure indicas. However, Redwood is a breezy body high that is perfect for minor aches and pains. It helped ease my arthritis and shoulder pain considerably, but did little for a migraine I came down with one night. I also enjoyed this strain because there is no couch lock, no laziness, and no drowsy yawning. This was the most dynamic indica I’ve smoked, since coming to Southern California, and it is perfect as a sunny daytime medication. 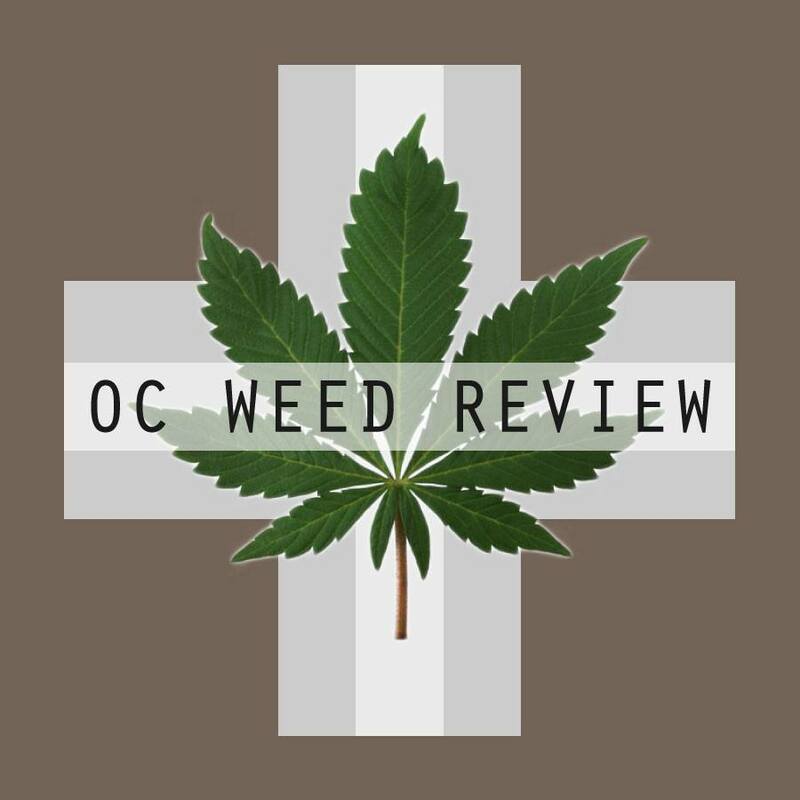 Orange County Patient Care (OCPC) usually keeps a jar or two of $35/eighth buds in addition to their usual top shelf strains. For the last few weeks, the featured sale Indica has been Bubba Kush. I don’t usually buy pure Indicas since they tend to put me down early, especially when from a quality dispensary like OCPC. However, my budtender assured me that Bubba was a more mellow body high and wouldn’t overpower me. Relaxation-yes. Uncontrollable weed lock and naps-no. It sounded good, but I’ve woken up on my couch with a half smoked bowl of Indica in my lap enough times. The nuggets didn’t look like anything award worthy, slightly brownish and not overly sparkly under the lamp. They were small buds but lacked all of the stickiness I expect in an Indica. I was about to pass when I took a large whiff of air from deep in the jar as I tend to do when meeting my weed. Scents and tastes are a strong factor in my choices of strain. This harvest of Bubba Kush had a distinct pepper smell. Very strong, like red chili peppers dried together in a clump. For $35 bucks, I had to see what this tasted like. Bubba Kush broke up soft and pillowy, as a good Indica will. I’ve found that Indicas and Indica dominant hybrids are the best strains for rolling even, steady burning blunts due to the way they break up. The taste was not peppery like the smell suggested (disappointing), but it was herby and still with some spice to it. I took my bottle of Bubba Kush to the LA Kush Expo a few weeks ago. It was a hit with several smokers I met over the day. The high was dreamy and physical. One blunt at sundown had me watching the shadows change across the buildings in downtown LA for an hour. I was lost in a stoney stare. I sometimes use my medicine to treat my arthritis pain, and Bubba Kush was an effective mask. Bubba also carries all of Indica’s appetite stimulation. After one blunt early in the day, I spent $20 at a bakery treat food truck on the Expo grounds. Brilliant product placement. Final judgement on the Bubba Kush: worth $35 for the eighth, but not a cent more. A good mellow high that won’t make you miss the end of your movie due to sudden weed naps. An excellent pain relaxer.